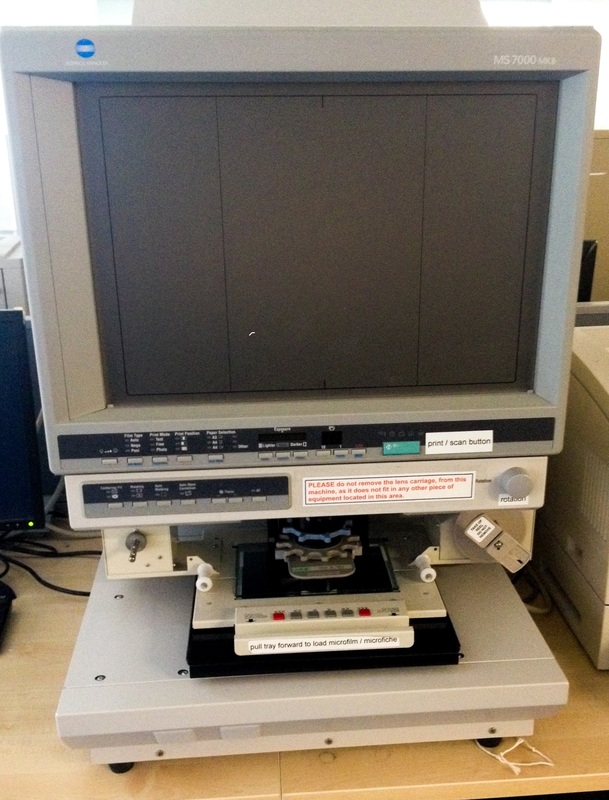 The Library holds some documents such as newspapers in a microform format (microcard, microfilm and microfiche) Occasionally Inter Library Loan material will be supplied on microform by the British Library. The cabinets containing the Library’s microfilm and microfiche collections are located on Level 1 of the Hartley Library. Microcards are also shelved on level 1 close to the microform equipment. Our equipment enables you to view, print and scan from microforms. Library staff can offer basic assistance, such as refilling printers with paper and toner, troubleshooting printing problems and assisting with the initial loading of the film or fiche. However, if more technical or complicated assistance is required e.g. how to manipulate the film or fiche in greater detail, we would advise you to contact the Library in advance of your proposed visit so that we can prepare and give you the assistance you require. Appointments are available Monday-Friday from 09:00-17:00. Please contact us by email at ejrnls@soton.ac.uk or telephone 023 8059 3521. The SL1000 microform scanner allows the viewing, printing and scanning of microfilms, microfiche, microcards and slides. A USB portable drive is needed if you wish to save scanned copies. Printing is sent to the networked printers and costs the same as printing from the Library PCs. Microcard - a card on which microphotographs of a number of pages of a document have been printed. Microfiche - a sheet of film, 105 x 148 mm, on which documents can be recorded in miniaturized form. Microfilm - a strip of film, usually 35mm wide, on which documents are recorded in miniaturized form. Slide - an individual transparency specially mounted in a cardboard surround intended for projection onto a screen. The Minolta Microform unit allows the viewing and printing from microfilm and microfiche. Additional lenses with different magnifications are available from the Level 2 desk.